It is with great pleasure that I introduce Carlos to the world. Carlos is my very first natural baby dreadlock. I noticed him on Sunday morning— or rather, Nikola fished him out of my mess of hair to show me that my dreads are actually starting to make progress. 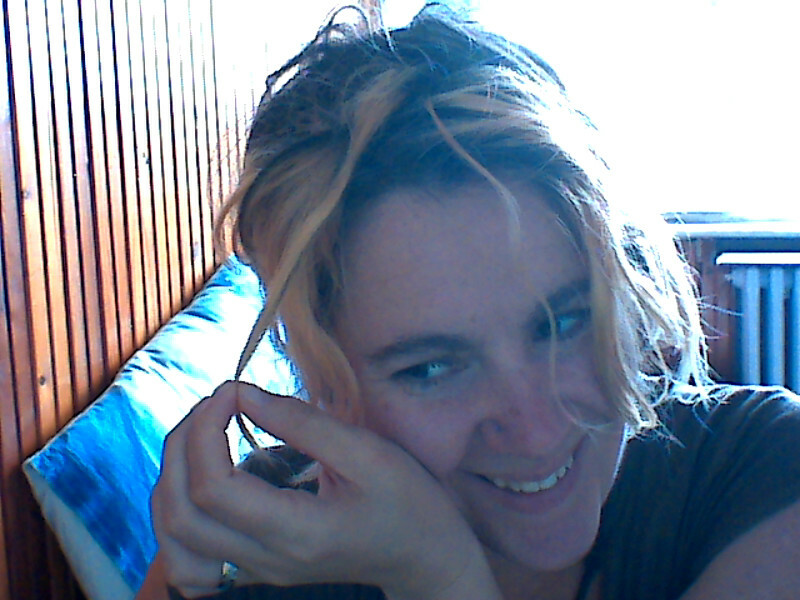 Strangely enough, Saturday evening I almost posting an update of my messy head declaring the same-old “nothing is happening, it is a practice in patience,” etc. The change in me is also very desirable. As I went walking on the rainy streets this morning: sandals, a long flowing skirt, tank top, scarf wrapped around my shoulders and head… I felt completely in my body, confident, and happy in a way that I haven’t felt in a very long time. I am definitely meant to be a little earth child. Hippie? Meh, if you wish to title me so. I’ll stop resisting it. But it is so much more than that.